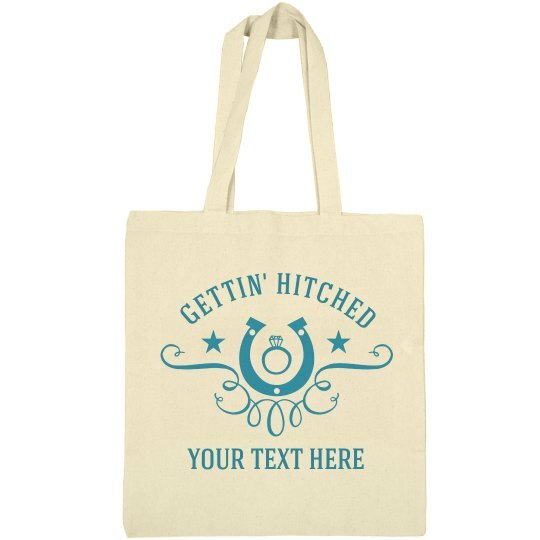 This country bride tote is the perfect gift for the bride-to-be. She's finally gettin' hitched! Customize this bag for your friend or family member. Add her name, her future last name, or her wedding date! Wrap it up and give it as a present for her bridal shower.